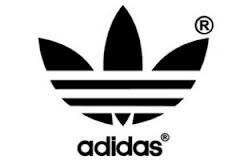 In 2001, Adidas America Inc. suggested that Payless Shoesource Inc. was selling shoes/sportswear that were very similar to Adidas's "Three Stripe Mark" and "Suparstar" trade dress. Payless was found to have about 267 different styles/colors that resembled those of Adidas. Adidas recieved a subsidiary of $30.6 million in actual damages, $137 million in punitive damages, and about $137 million in Payless profits. This came to a total of $304.6 million.